This themed cruise has been designed especially for classical music lovers and features carefully selected music programs both on board and on land. 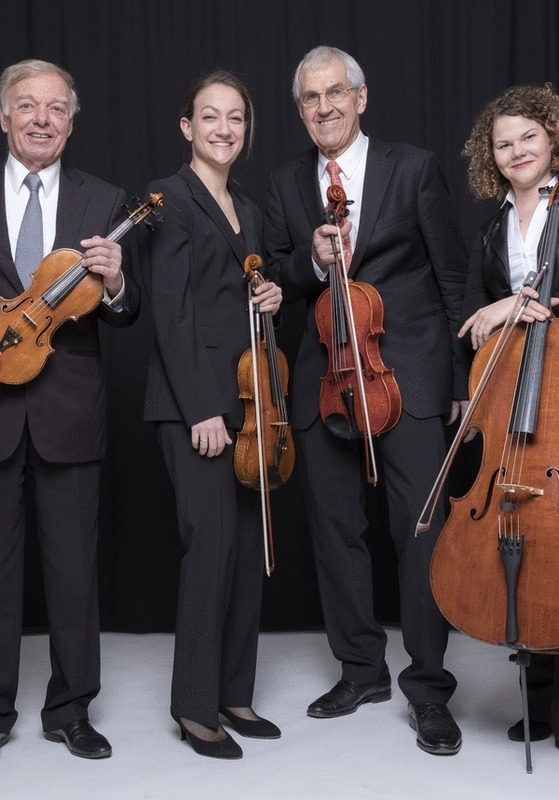 During your cruise from Passau to Budapest you will have the opportunity to experience private concerts in unique locations, such as in the Salzburg Mozarteum, where you will hear the “Salzburger Soloists”, and in Melk Abbey, where you will hear a concert by the “Slovak Quintet”. 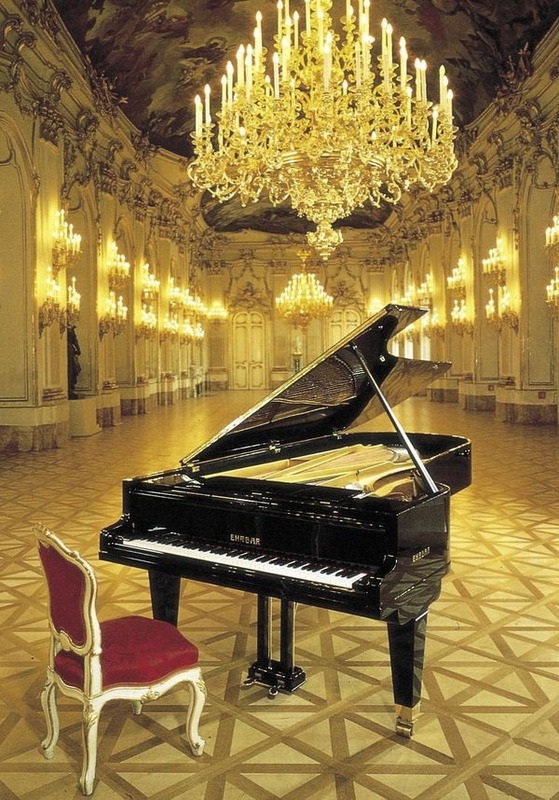 In the beautiful Duna Palace in Budapest you will be entertained by the pianist Martin Ivanov and on board you will enjoy the music of the Vienna Philharmonic Orchestra Quartet – all exclusively for cruise guests. 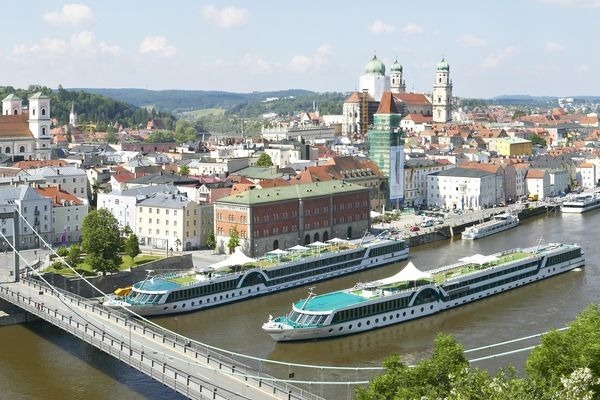 Your classical music cruise begins in the “City of Three Rivers”, Passau. After embarking and settling in to your cabin, the cruise director invites you to a Welcome Cocktail, followed by a delicious Welcome Dinner. The music of Haydn, Schubert and van Beethoven are featured this evening in a small concert, a perfect way to start this special cruise. 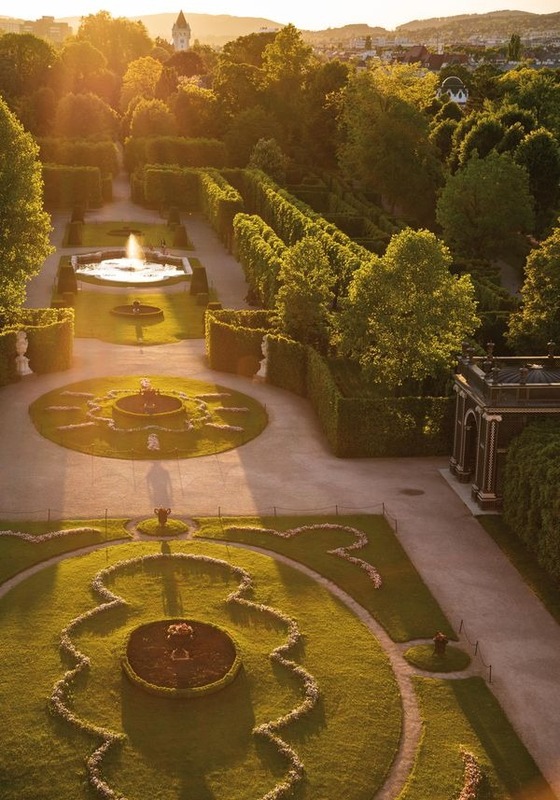 A music cruise would not be complete without a visit to the Mozart-town of Salzburg. Join a full-day excursion, following in the footsteps of the famous Austrian composer. A sightseeing walk through the city includes a visit to Mozart's birthplace (Mozarthaus), followed by a lunch of local specialties. This afternoon continue to the “Salzburg Residenz” Palace for an exclusive concert featuring classical Mozart arrangements. Return to the ship in the evening in time to depart for the Wachau. 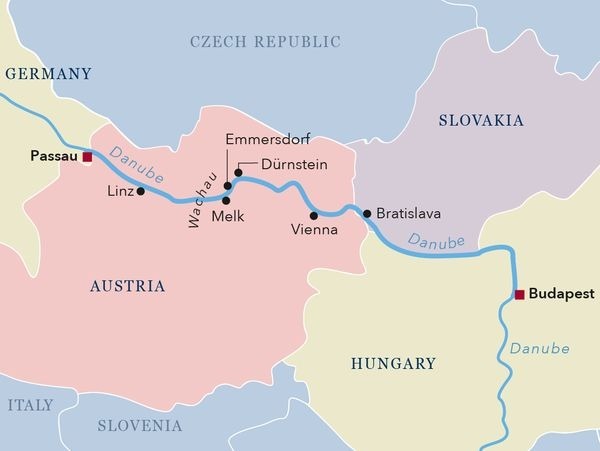 During breakfast your ship arrives in Melk/Emmersdorf, situated in the UNESCO world heritage Wachau region. This morning's included excursion is a highlight of the cruise - a visit to the famous Melk Abbey. 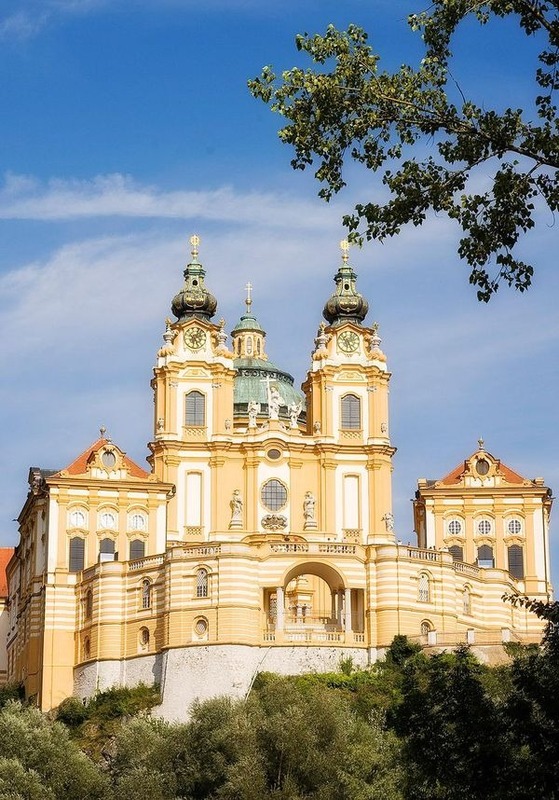 Visit the impressive 900 year old abbey to view its treasures, then enjoy a special concert in the famous hall of St. Koloman, featuring music of Austria's native son - Wolfgang Amadeus Mozart. Return to the vessel for lunch before it departs for Dürnstein, the most famous wine-growing town in the Wachau Valley. This afternoon is free to explore or join an optional sightseeing tour and wine tasting. Early this evening, the vessel departs for the Imperial city of Vienna. 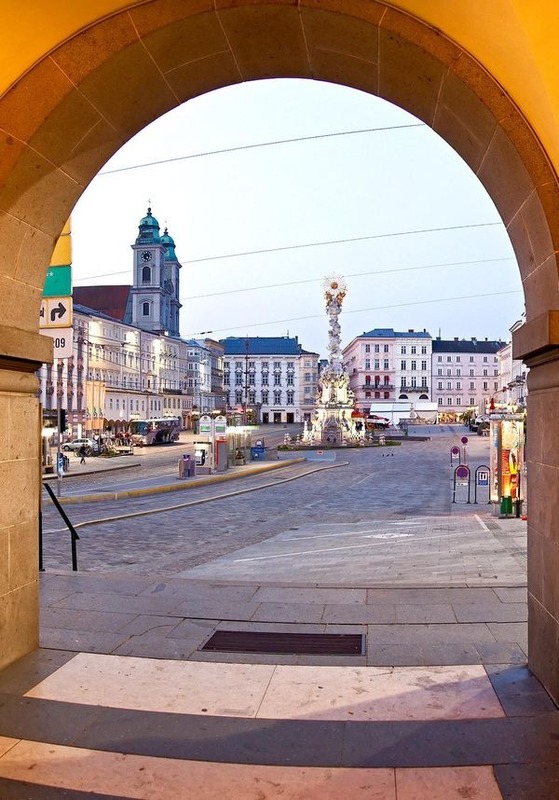 The Austrian capital offers a kaleidoscope of opportunity for music lovers, as well as a multitude of world-famous sights, which you can explore during the course of a morning city tour. This afternoon you have the option to explore the city on your own or join the optional excursion to the sumptuous former summer palace of Schönbrunn and its extensive grounds. This evening's optional music choice features attending the classical music concert “Sound of Vienna”, where the “Alt Wien” Salon Orchestra will surprise and entertain you with lively Viennese classics. Awake in Vienna for another full day to explore this impressive city. Spend the day discovering Vienna on your own or perhaps join the optional guided excursion to the UNESCO site of Belvedere Palace. Within the palace is the Belvedere Museum, which includes Austrian art, international artists, and the world's largest collection of Gustav Klimt paintings. End your day in style, returning to the ship for a private concert. 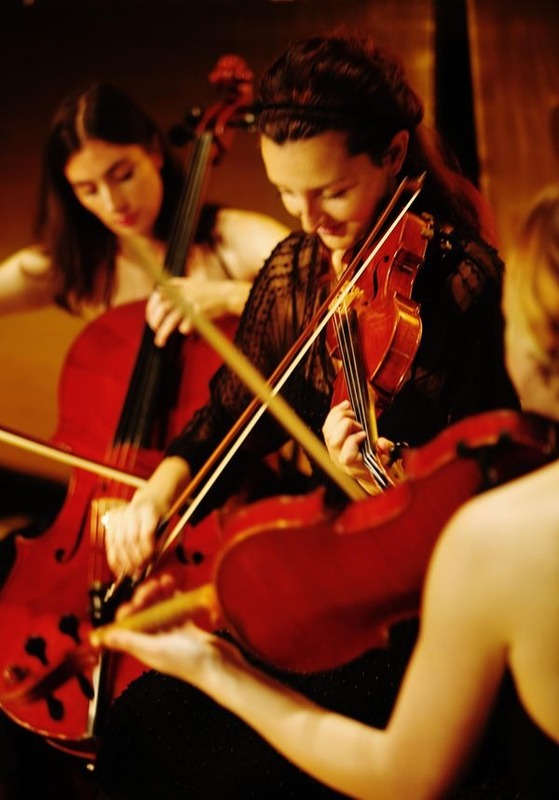 A quartet from the Vienna Philharmonic Orchestra will perform pieces from Mozart and Schubert. Later tonight, your cruise ship departs Vienna and continues along the Danube River. This morning your vessel reaches the Slovakian capital of Bratislava. After breakfast, explore the beautiful sights of this romantic city during the course of a city tour, highlighted by a musical concert. The Moyzes Hall, named after the Slovak composer Alexander Moyzes, is a perfect place to hear the music of Ludwig van Beethoven and Antonin Dvořák. Late in the afternoon, cruise through the beautiful Slovakian and Hungarian landscapes of the Danube as you head to your final destination, Budapest. This evening, the captain requests the pleasure of your company at a festive Gala Dinner. Dvořák: String Quartet No. 12 Op, 96 in F major "American"
Viewing the monumental buildings along the banks of the Danube, you will understand why Budapest is also known as the “Queen of the Danube”. The city is split by the Danube river into Buda and Pest. 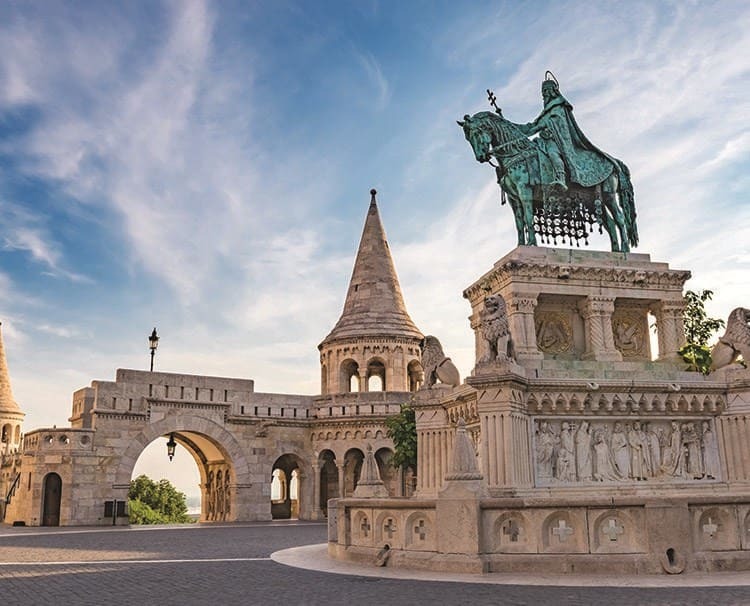 This morning, you can take part in an optional tour through the Buda side of the city with its Fisherman's Bastion or explore on your own. After lunch, an included tour of Pest showcases Hero's Square and the famous Parliament Building. Celebrate your musical experience with a concert in the Danube Palace with strains of Mozart, Liszt and Brahms. After breakfast, the entire AMADEUS team wishes you a safe journey home. We hope to welcome you again soon!